The Goodwood Festival of Speed is an annual hill climb featuring historic motor racing vehicles to modern day legends held in the grounds of Goodwood House in West Sussex, England. It’s a four-day event that always take place in the Summer – either in late June or early July, and it’s scheduled this way to avoid clashing with the Formula 1 season, enabling fans to see both F1 machines, as well as cars and motorbikes from motor-racing history climb the hill. The Festival of Speed commenced officially in 1996, and back then, saw crowds of tens of thousands attend. In more recent years, the event attracts crowds of around 100,000 on each of the three days it’s now held. For the 2017 Goodwood Festival of Speed, our team was fortunate enough to be invited by Microsoft and Turn 10 Studios to attend the event as special guests of Forza Motorsport 7 and Porsche. This included us checking out a pre-launch demo of the game which featured the Dubai showcase track in the new 2018 Porsche 911 GT2 RS racing against other sports cars from the famed German automaker. 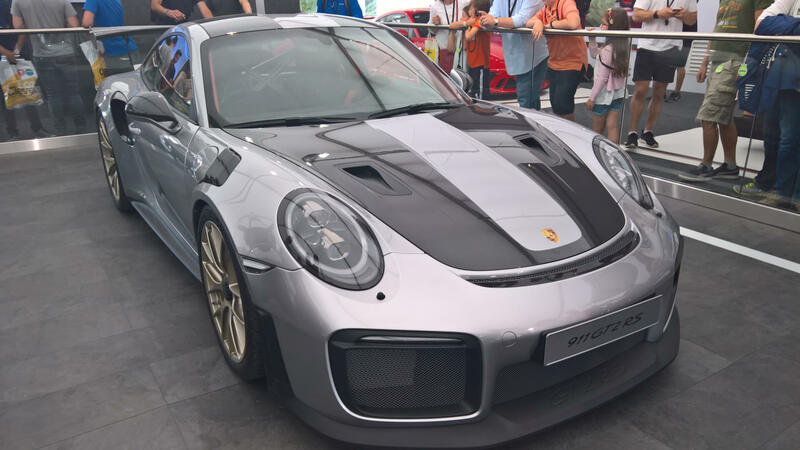 The 2018 Porsche 911 GT2 RS remained covered for the first few days of the event before being revealed to the British public. Not like anyone didn't know what was underneath the cover. Whilst the 2018 Porsche 911 GT2 RS was originally unveiled by Turn 10’s Creative Director Dan Greenawalt at E3 2017, the car made its official debut from Porsche at the Festival of Speed. Interestingly, Microsoft was the only company to acknowledge the car’s existence until Porsche did its own, smaller-scale reveal. The Porsche experience at the Festival of Speed also included several wheel setups equipped with the Forza Motorsport 7 Dubai track-demo over the weekend, whilst the pre-weekend days featured a time-trial competition on Le Mans in Forza Motorsport 6 – all of which were available to attendees. The Goodwood Festival of Speed features millions upon millions of pounds worth of cars, all parked up across the event grounds. From the latest Lamborghinis, Porsches, and Ferraris, to modern day race cars and the rarest classics, the Festival of Speed had it all. Whether you want to see latest million-dollar hypercar or the most brilliant racing legend, you’re sure to find it here. However, the exotic cars weren’t just the star of the show, as each day, several cars would compete in a shootout and tackle the hillclimb to see which one could get to the top in the fastest time possible. 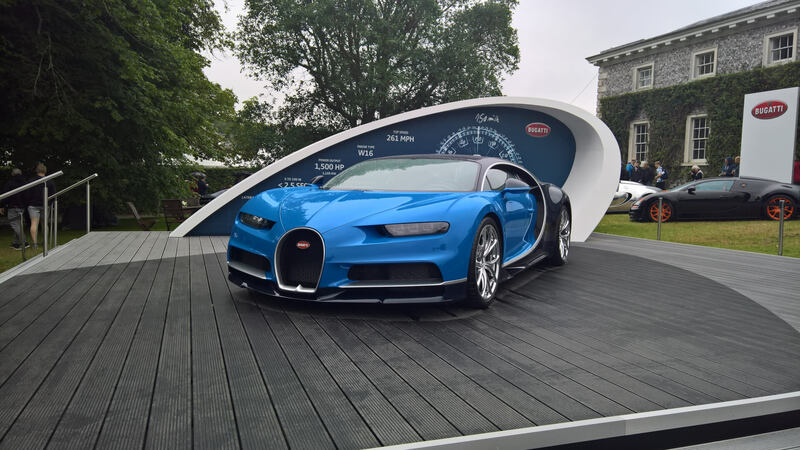 Bugatti proudly displaying its new masterpiece at Goodwood – the ridiculously fast Chiron. We wanted to bring you the action from Goodwood’s Festival of Speed as we experienced it, and in our feature video above, you can see all of the exotic supercars and race cars we got to see at this incredible event. It’s safe to say that if you’re a fan of cars or motoring vehicles in any shape or form – or even era for that matter, the Goodwood Festival of Speed is well worth your time and money, despite how expensive it is to attend. Hopefully we do get to return in 2018 or sometime in the future, but there’s no denying how much of an incredible experience it was to attend in 2017, and we’d like to thank Xbox UK and Forza Motorsport 7 for the opportunity. Whether you spend hours eyeballing the expensive cars parked around the showgrounds, watching the action in each day’s events as it unfolds from the Grandstands, or even just attend on the last day to watch the actual hillclimb itself on which Goodwood made its name – you’re in a for a real treat with this one. No matter how you attend, whether it’s with family or friends, the Goodwood Festival of Speed is sure to not disappoint, and our video gives you a taste of all that brilliant automotive goodness.